Time to get crafting! The weather here is so beautiful and it is a calm summer day here in South Dakota. I made a gift bag to put a special canvas in it one day. My image is Tilda with Millie the Mouse. Have a wonderful day, happy crafting!! That's so cute, and the fresh, pretty colours have really put a smile on my face on a dull, wet, grey day (don't know what happened to our summer!)... 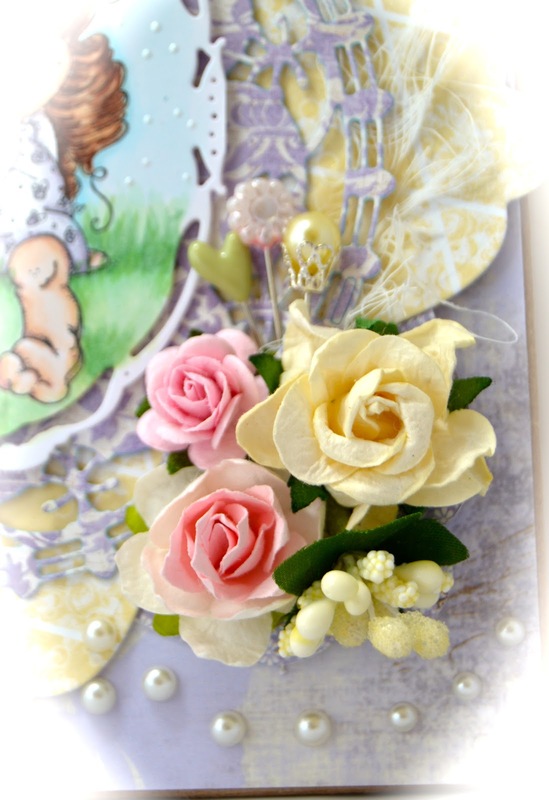 lovely layering and embellishing too. This is a treat, Kelly. Your bag is wonderful, love the colors, embellishments, all is so beautiful ! OMG, Kelly that gift bag is truly EXQUISITE!!!!! Your coloring is spectacular....love this adorable image! Gorgeous details!!!! Oh Kelly this is so beautiful with the pastel colors. Tilda is adorable and love all your special details. Another fantastic job! 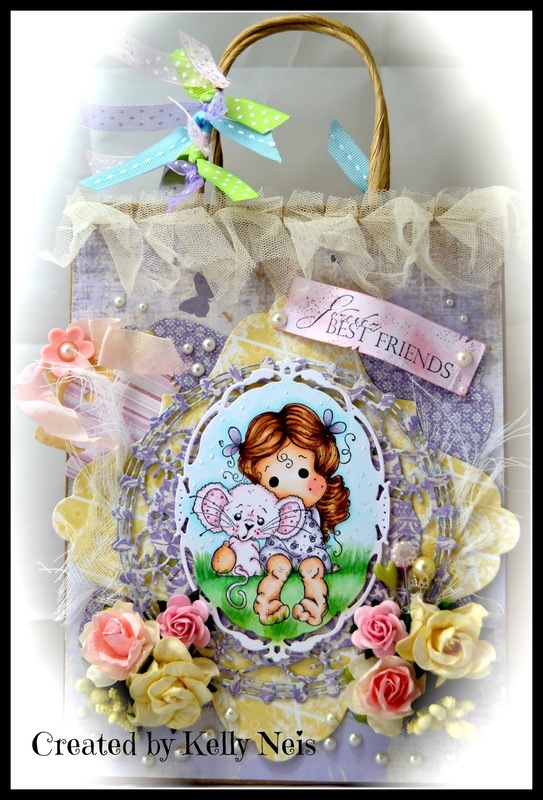 This is beautiful Kelly and a perfect carrier for those gorgeous canvases you create! 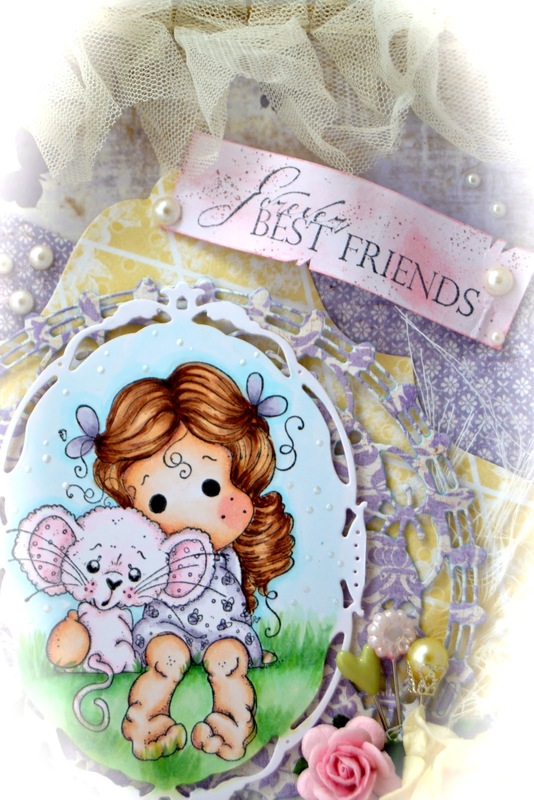 Love the image and your colouring plus the fab layers and embellies. Very sweet! I love all the pretty details. Wow!!! Your gift bag is so pretty and the detail is super.